hongjun's Blog: New Starbucks' logo - Do you like it? Starbucks, famously known for its coffee, doesn’t want to be known for selling just coffee anymore. It had yesterday announced dropping the words “Starbucks Coffee” from its famous, circular green logo. 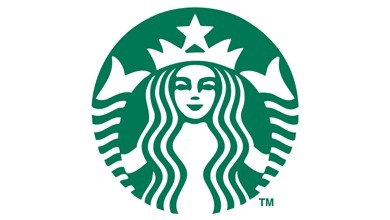 In its place will be Starbucks’ mermaid, or “Siren” icon. I personally do not like the new design for it seems to be missing the attachment with customers. Quoted from a comment posted on Starbucks' blog post, it said, "Who's the bonehead in your marketing department that removed the world-famous name of Starbucks Coffee from your new logo? This gold card user isn't impressed!". Starbucks’ logo change comes about three months after clothing retailer Gap Inc.’s rebranding fiasco. In that incident, customers were displeased with the new design and a social media storm soon ignited. Gap had little choice but to revert back to the original logo. Will Starbucks' change spark a similar backlash? Starbucks, at moment, is keeping its cool. The company posted a detailed blog post and video from its CEO, Schultz, communicating the changes yesterday. That video is embedded below.